One of the appealing features of this 22 cubic foot refrigerator is a slide-away split shelf that allows the front of the shelf to retract to accommodate tall items. 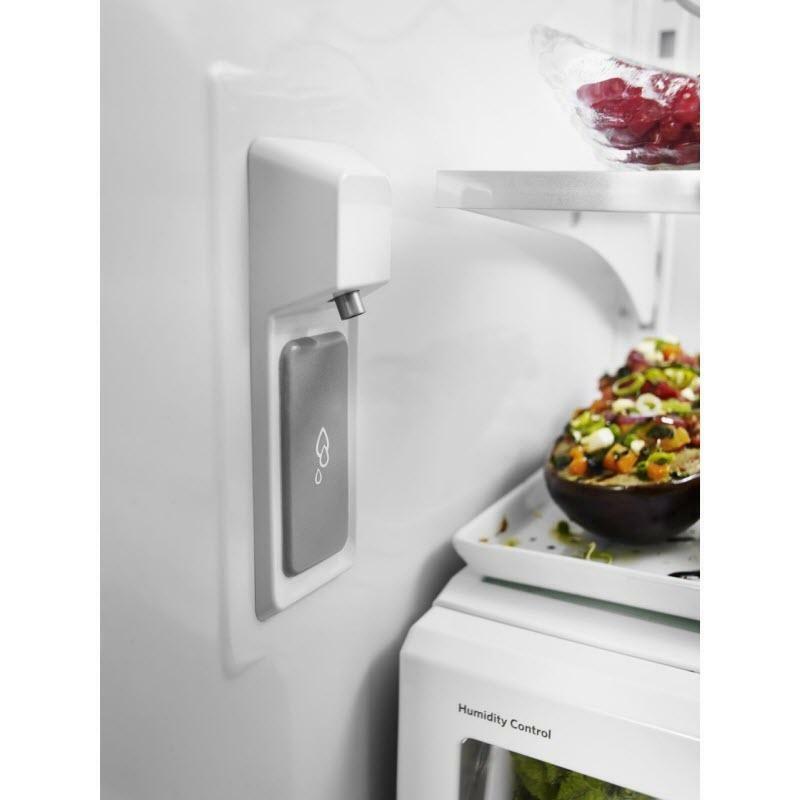 It also has the ExtendFresh™ Temperature Management System and Produce Preserver to help maintain the taste and texture of your freshest food. Uses sensors in the refrigerator and freezer to help ensure all your ingredients remain at the appropriate temperature for optimum taste and texture. 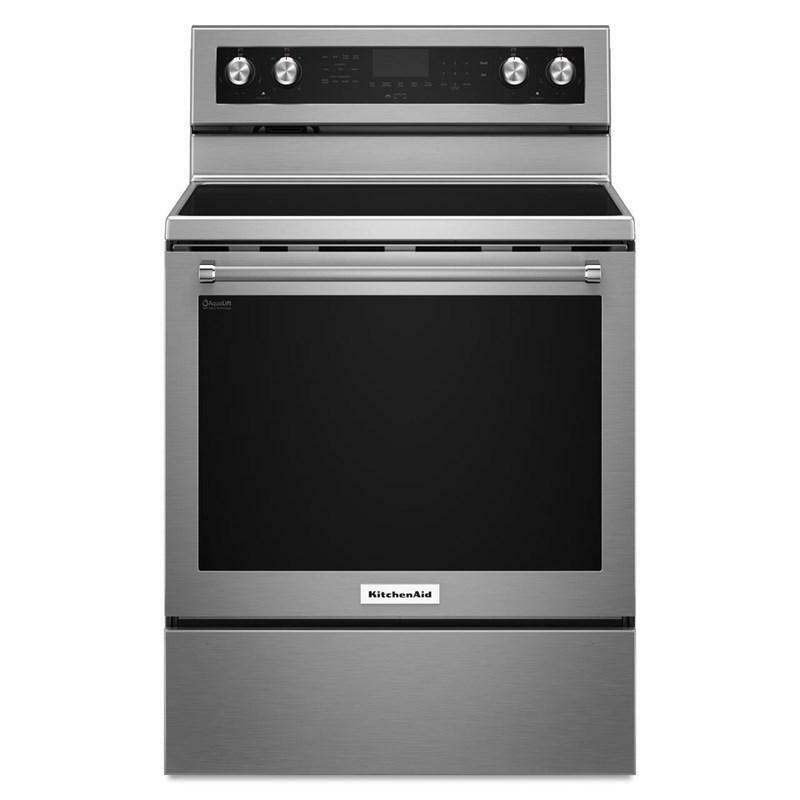 Regulates temperatures to keep ingredients in optimum storage conditions. Helps keep produce fresher longer. 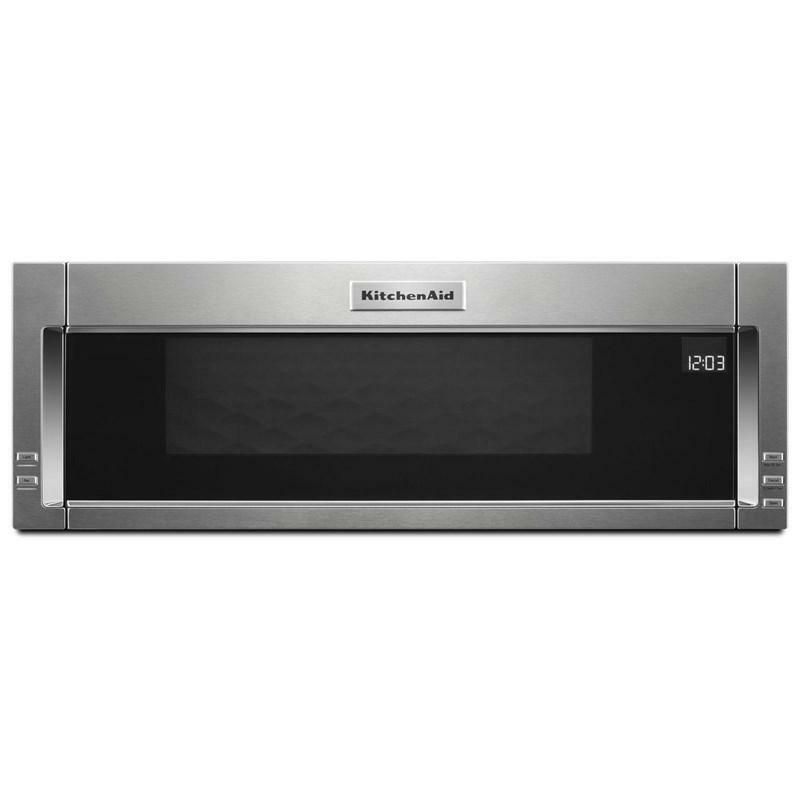 When selected, automatically adjusts the temperature in the refrigerator and freezer to the lowest setting when appropriate. 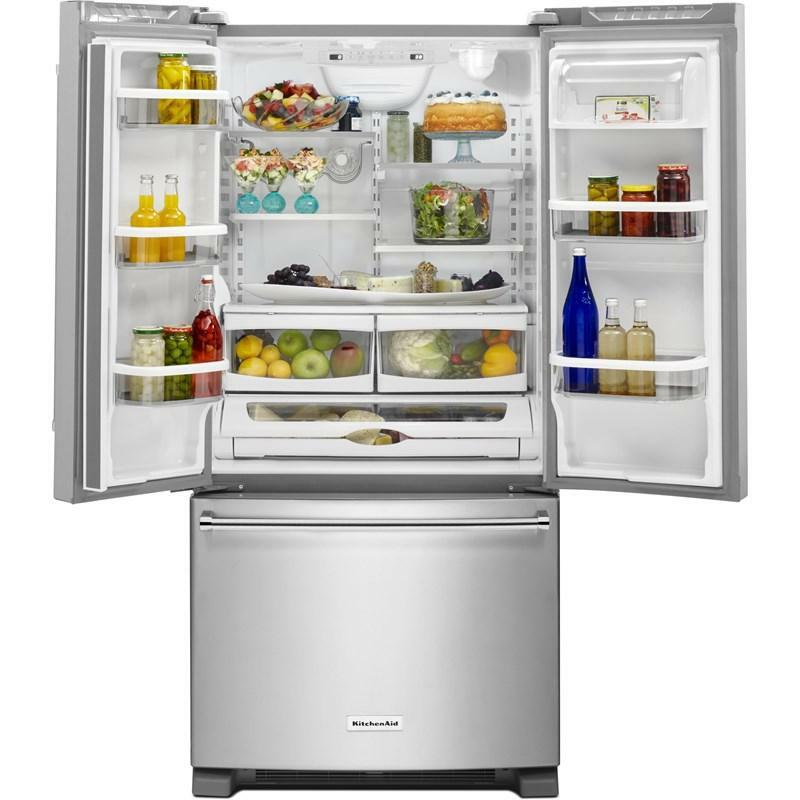 This keeps the refrigerator at the ideal temperature when loading groceries, the doors are frequently opened or in higher room temperatures. 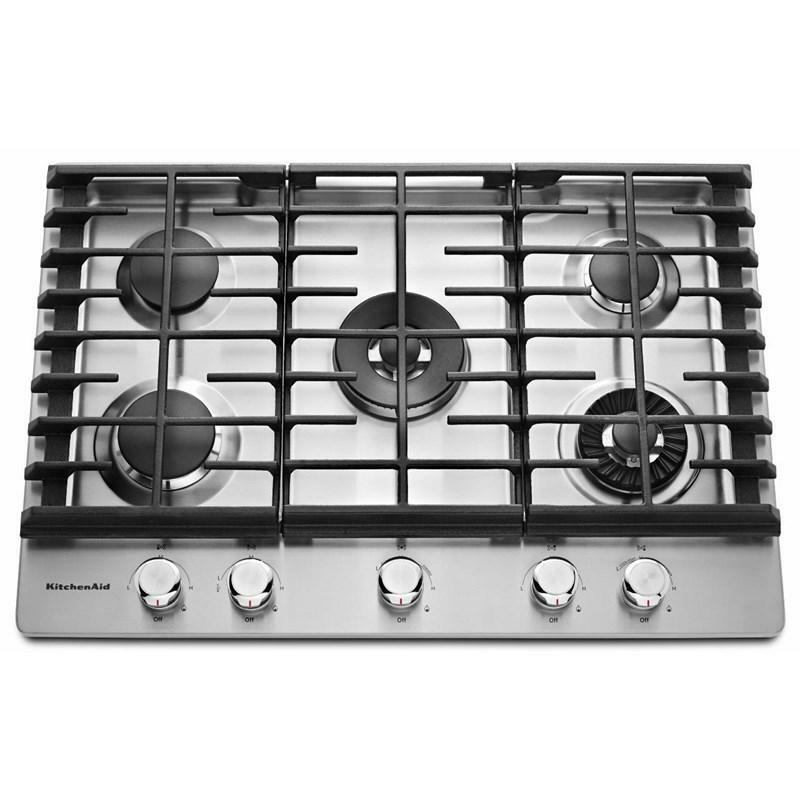 Uses space-efficient, under-mounted pans with rollers and glides for satisfyingly smooth operation. 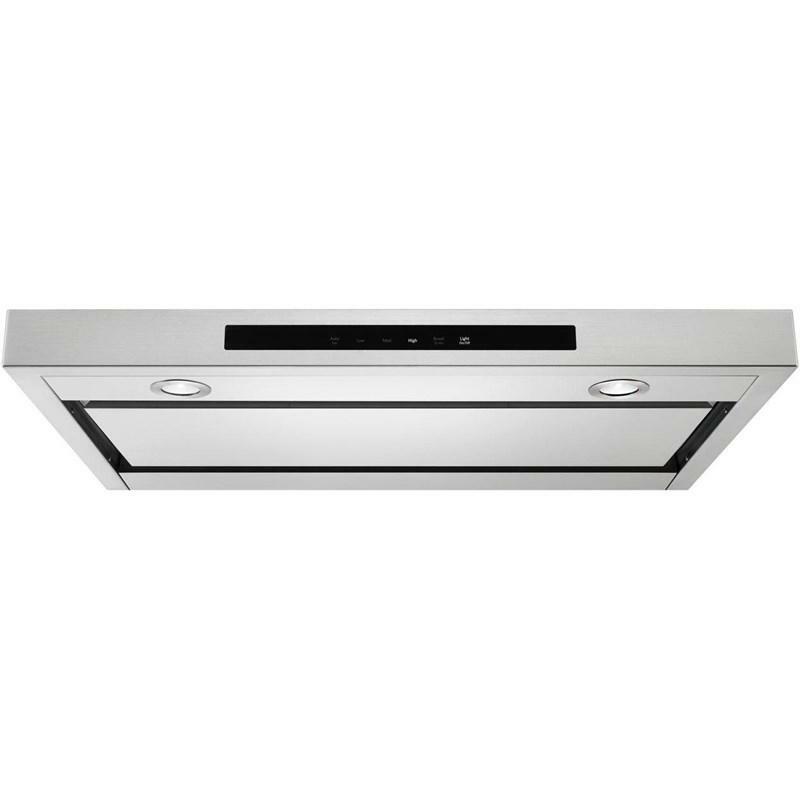 Provide adjustable humidity control, giving you a dedicated storage option to keep fresh food at optimum humidity levels. Provides a durable storage solution for up to four bottles of wine or 2-liter containers and can be removed for additional storage flexibility. Conveniently located for easy access to ice-cold filtered water. 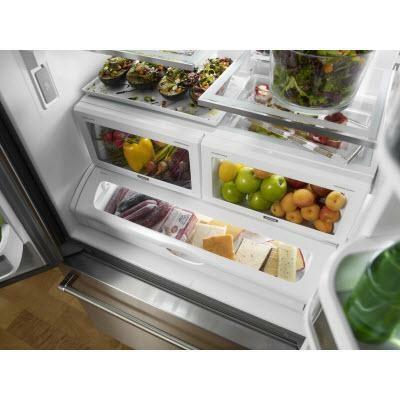 Helps maximize the organization of your refrigerator. The versatile design allows the front of the shelf to retract to accommodate tall items. Total 22.1 cu. ft. / 0.63 cu. 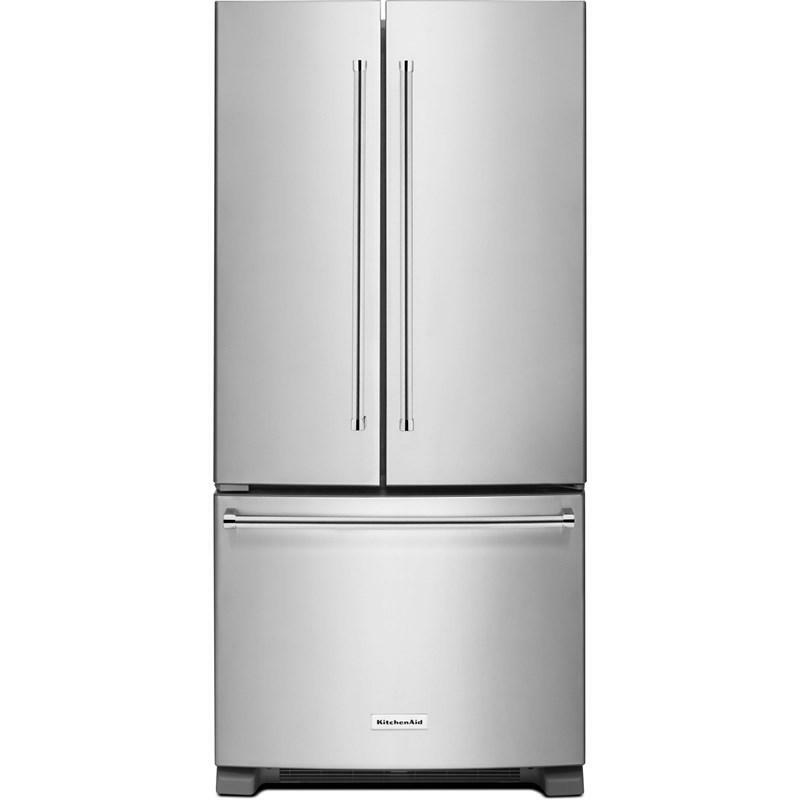 m.
Refrigerator 15.66 cu. ft. / 0.44 cu. 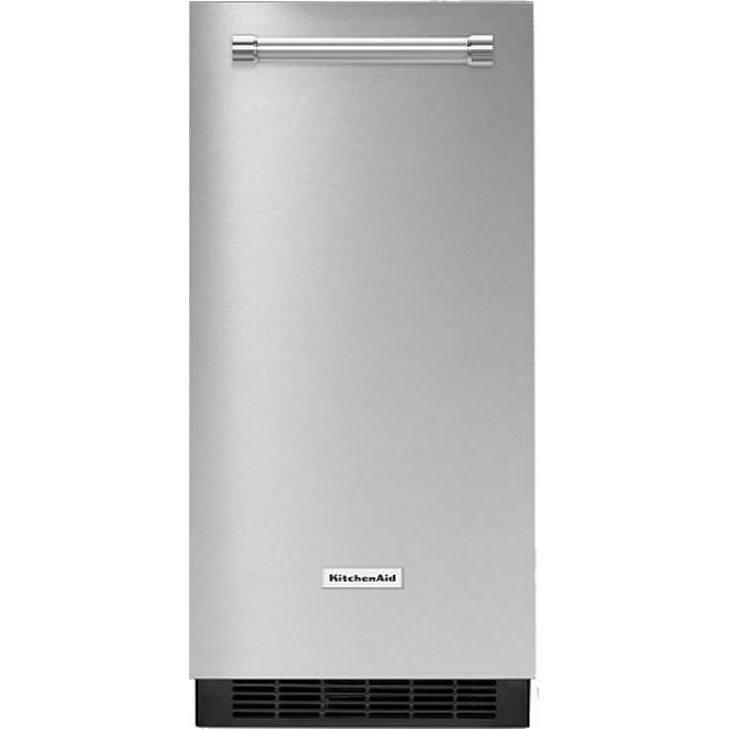 m.
Freezer 6.45 cu. ft. / 0.18 cu. 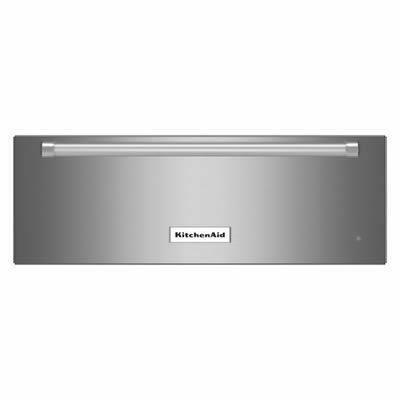 m.
Additional Dimensions • Cutout Height: 69"
• Height To Top Of Cabinet: 68 7/8"
• Depth With Door Open 90 Degree: 47 1/8"
Capacity (cu. ft.): 6.4 cu. 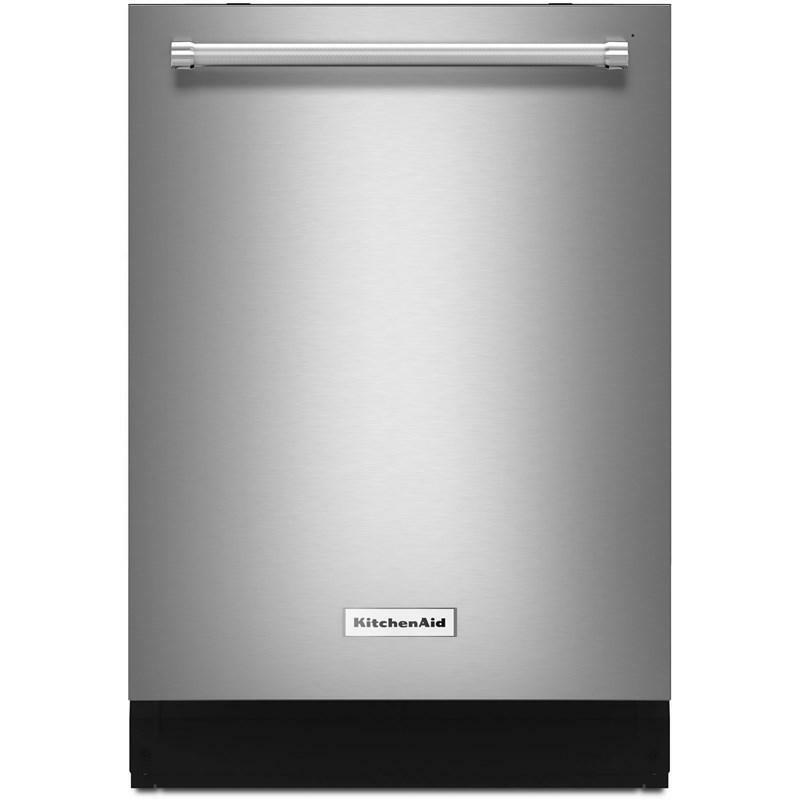 ft.
KitchenAid® 24" beverage center with glass door. This beverage center features touch controls, SatinGlide® wood-front racks, door alarm and auto-light interior LED lighting. 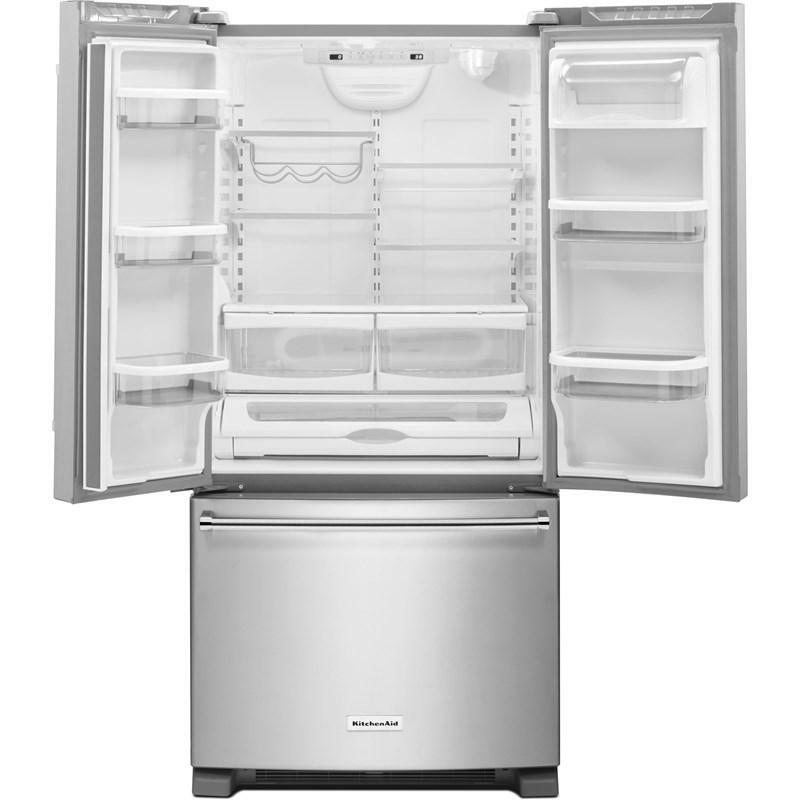 KitchenAid 15-inch ice maker features LED lighting, 25 lbs ice capacity and with automatic defrost. 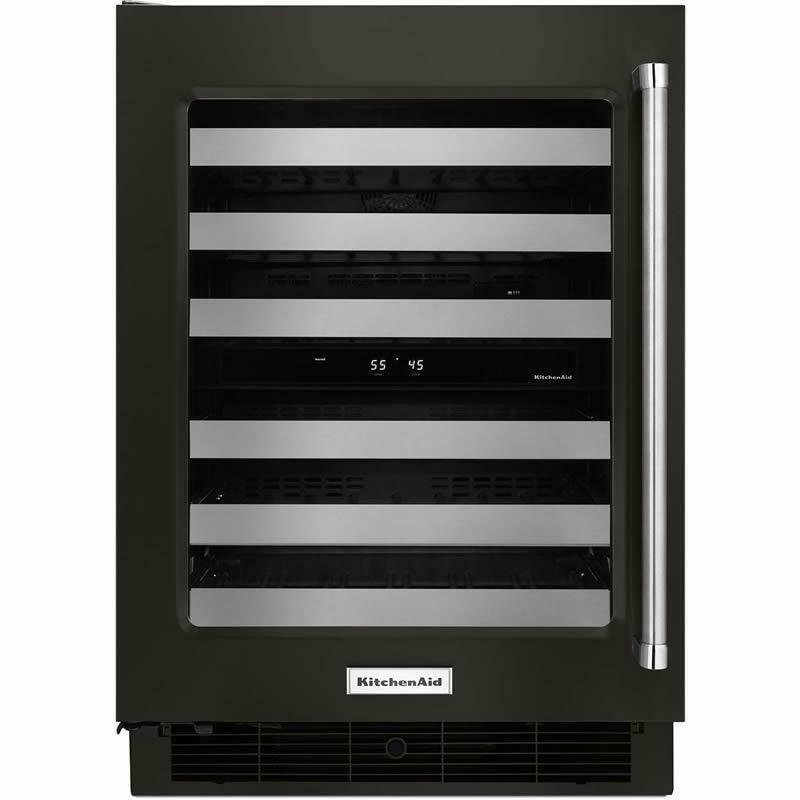 KitchenAid® 24' wine cellar with a capacity of 46 bottles and a left-hand door swing. 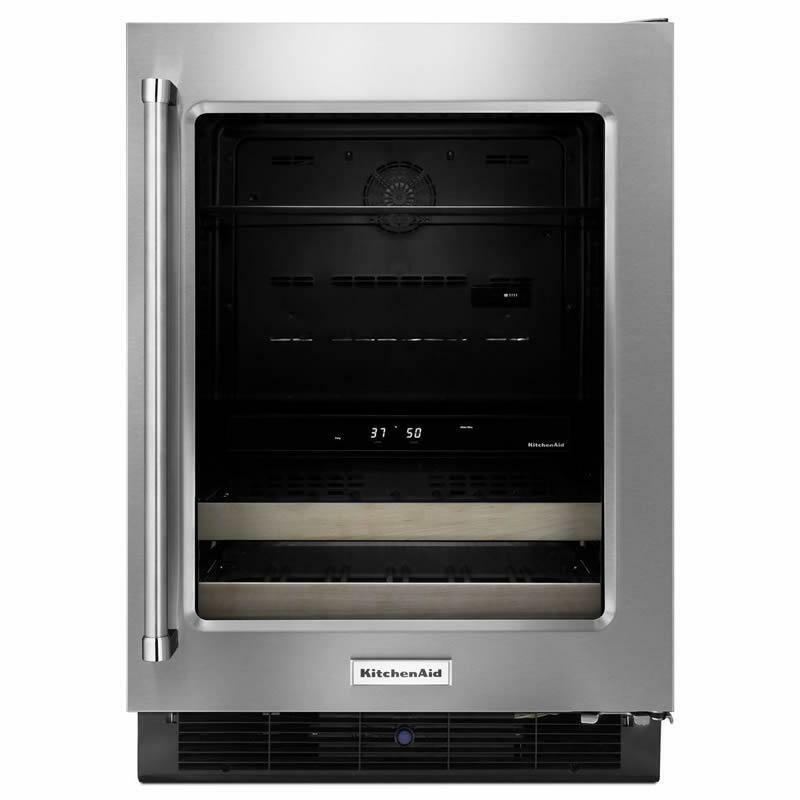 It features two temperature-controlled zones, SatinGlide® metal-front racks, a UV-protected thermal glass door and auto-light interior LED lighting. Capacity: 1.3 cu. ft. / 0.04 cu. 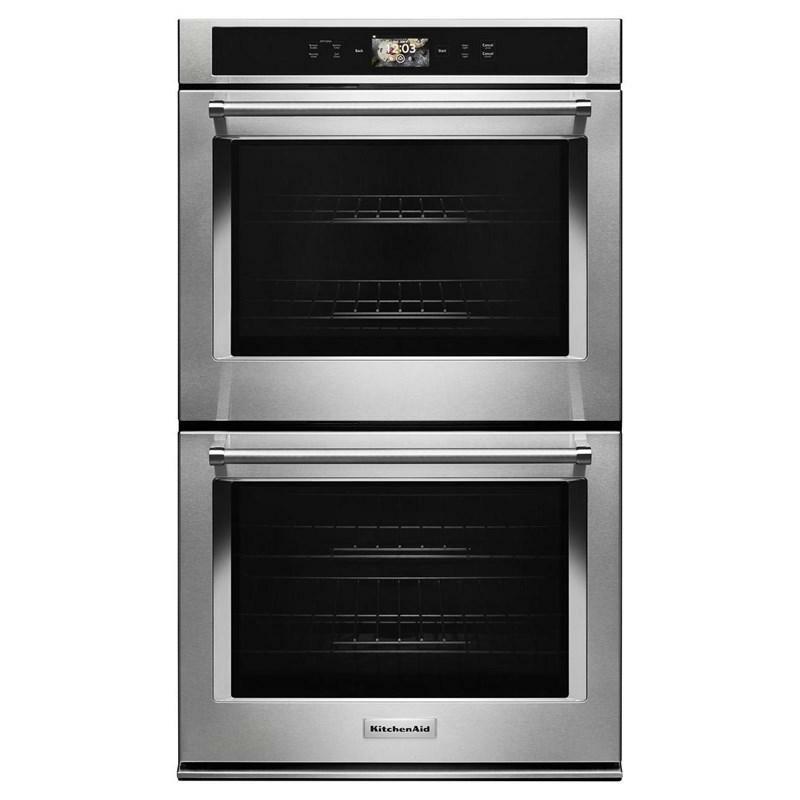 m.
KitchenAid 30-inch built-in double wall oven features True Convection technology, self-cleaning oven, digital display and a 10.0 cu.ft. total capacity.